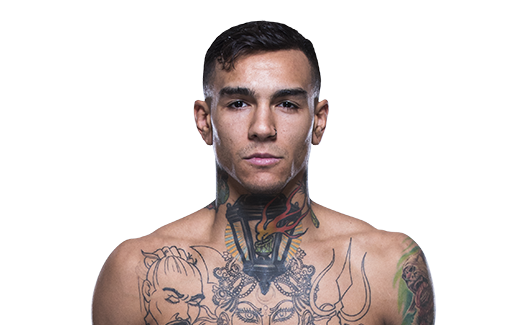 Ascolta Andre Fili in diretta dall'Ottagono dopo la vittoria per decisione non unanime ai danni di Dennis Bermudez nel co-main event di Fight Night Charlotte. L'Ottagono torna per la terza volta in tre settimane sabato, questa volta con la densa card di Charlotte. La presentatrice Lisa Foiles analizza UFC Fight Night: Jacare Souza vs Derek Brunson 2. Lisa Foiles, presentatrice di UFC Minute, illustra i risultati di Fight Night Gdansk. I dettagli sulla grande vittoria di Darren Till ai danni di Donald "Cowboy" Cerrone e tanto altro. 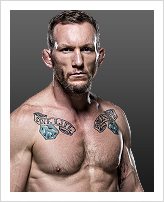 Tutto su UFC FIGHT PASS. UFC lightweight champion Conor McGregor attended Fight Night Gdansk to watch his friend and training partner Artem Lobov face Andre Fili. Check out the images of "The Notorious" from the event. TRAINING: Team Alpha Male has guys who are elite level strikers and grapplers, so we're always mixing things up in our practices. I train 2-3 times a day. When and why did you start training for fighting? When I was 14-15 because I wanted to be famous. What ranks and titles have you held? WFC and ISCF featherweight titles. What does it mean for you to fight in the UFC? It means everything to fight in the UFC; this has been my dream since I was a kid. Fighting is all I have. Specific accomplishments in pro competition? Two featherweight titles. 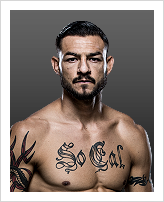 Voted Top 25 under 25 in MMA. Voted #2 prospect in the world.